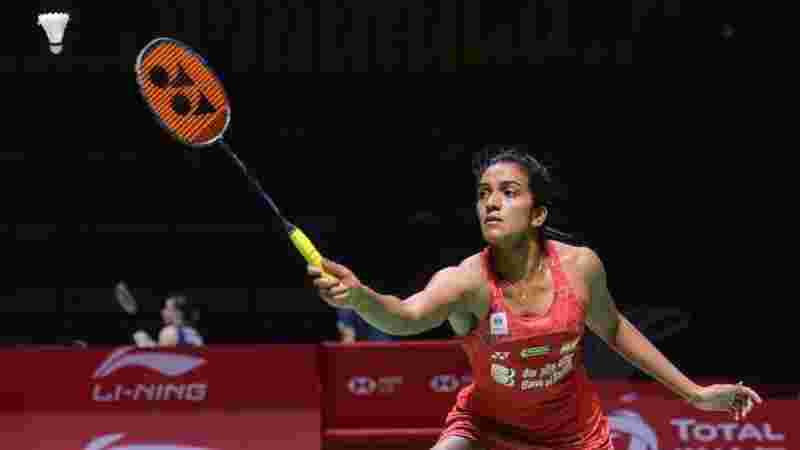 Rio Olympics silver medallist PV Sindhu produced another dogged performance to get past her nemesis, top ranked Chinese Taipei shuttler, Tai Tzu Ying in a tough three game match to record her second consecutive victory in the BWF World Tour Finals. Coming into the match on a high after beating Japan’s Akane Yamaguchi in her tournament opener, the Indian ace was made to sweat by the nimble footed Tai Tzu. The Taipei player used her drop shots to great effect in the first game as she got the better of a visibly hassled Sindhu 21-14. The Indian shuttler got a dose of advice from Pullela Gopichand at the change over and it seemed to work for Sindhu who looked more composed in the second game. Sindhu played to her advantage and made Tai Tzu work hard for her points in the second game. Sindhu took an early lead in the game and never looked back as she closed the game at 21-16 to force the match into a decider. Tai Tzu made a swift start to the final game and sped her way to a lead. Sindhu though was not ready to give up and made a comeback in the final game. She eventually took a big lead and moved to 20-16. Things turned dramatic at this point as a lob from Tai Tzu fell on the border of the base line and was called in. Sindhu challenged the call but replays showed that the shuttle had kissed the borders of the line and Tai Tzu was breathing again. Sindhu hit a smash down the line wide and the gap was now reduced to two points. But the Indian kept her nerve and eventually forced Tai Tzu to commit a mistake and won the game 21-18 to close out the match in just over an hour. She will take on Malaysia’s Zhang Beiwen in her last Group A match on Friday and looks certain for a place in the semis. Sindhu had finished runner-up in the tournament last year. When asked about losing the last year’s final, Sindhu said that she is ready for a fight at all times and would give her best and if she faces Tai Tzu again in a later round, she will try and beat her again.